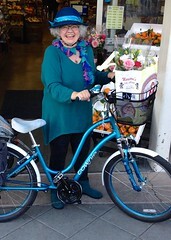 You’re Invited: Shopping Tours for Bike to Shop Day | One woman. Many bicycles. 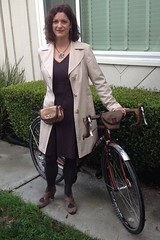 For the past few months, I’ve put my heart and soul into Bike to Shop Day. With an amazing team of volunteers and staff at the Silicon Valley Bicycle Coalition we’ve built a web site, recruited local businesses, printed, translated and delivered posters and written press releases promoting this one-day event. We’re down to the home stretch now. 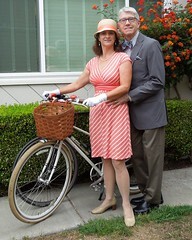 All we need is people like you to hop on your bikes to shop, dine and do errands on Saturday, May 17. If you’re in Silicon Valley, we’d love it if you stopped in at our participating businesses or joined one of our shopping tours described below. 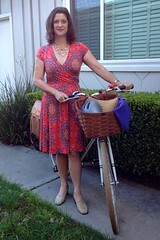 If not, just knowing that you’re shopping by bike, wherever you are, will put a smile on my face. And that smile will be even bigger if you send me photos. Want to try shopping by bike in a new neighborhood? 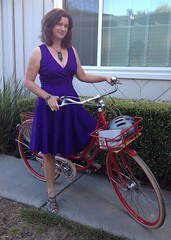 Or just want to meet other bike shoppers in your area? 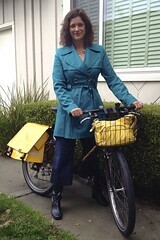 Join one of our three Bike to Shop Day tours in two Silicon Valley cities. Each ride has its own distance, style and shopping districts visited, but all are designed to let you ride a little, shop a little, ride a little, eat a little. 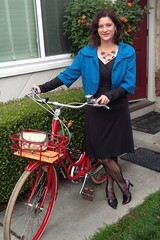 Stops will be oriented to allow you to visit businesses offering special Bike to Shop Day incentives. When we get to Willow Glen, I’m hitting Mariette Chocolates first. Their sea salt caramel chocolates are divine. A visit to Japatown is not complete without a stop at Nichi Bei Bussan, a family-run Japanese goods store. Third stop will be downtown’s Paseo de San Antonio. Pop into MUJI for housewares, clothing and travel items. Japantown is home to many small businesses, like this tiny shop appropriately named Petitie Galleria. At the stop downtown, you can pick up San Jose logo items, including Sharks team jerseys. The Paseo offers several dining options, including crepes, sandwiches and pastries at La Lune Sucrée. The Kidical Mass tour is perfect for kids of all ages, on their own bikes or carried on or pulled by their parents. The tour stops at Diddams, where toys and games and stickers and candy makes it’s a kid’s delight. All rides are free and open to all ages. Please RSVP through the Silicon Valley Bicycle Coalition so we can plan to have enough ride leaders to keep the tour safe and pleasant for everyone.